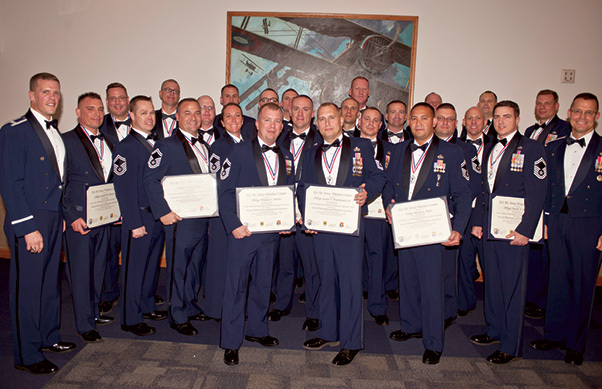 The U.S. Air Force Advanced Maintenance and Munitions Operations School celebrated a milestone recently, graduating its twelfth Advanced Maintenance Superintendent Course class on Oct. 9. AMMOS graduates, who come from various maintenance and munitions units across the Air Force, will go back to their bases to produce, mentor, and advise others in all aspects of aircraft and munitions maintenance. Senior Master Sgt. Troy Barber, Tinker Air Force Base, Okla.
Senior Master Sgt. David M. Hatch, Beale AFB, Calif.
Senior Master Sgt. Michael J. Jovanovich, Minot AFB, N.D.
Senior Master Sgt. Michael S. Kuhn, Beale AFB, Calif.
Senior Master Sgt. 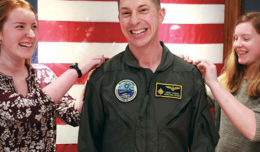 Jason T. Levine, Offutt AFB, Neb. Senior Master Sgt. Seth A. Lininger, Grand Forks AFB, N.D.
Senior Master Sgt. Arthur L. Middleton, Hurlburt Field, Fla.
Senior Master Sgt. Jonathan R. Mobley, Luke AFB, Ariz.
Senior Master Sgt. David F. Penisten, Travis AFB, Calif.
Senior Master Sgt. Rob L. Reitz, Kirtland AFB, N.M.
Senior Master Sgt. 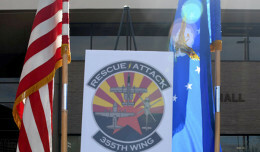 Spencer W. Ridgway, Holloman AFB, N.M.
Senior Master Sgt. Jeffrey B. Whiting, Tyndall AFB, Fla.
Master Sgt. David M. Brown, Fairchild AFB, Wash.